We have established ourselves as the leading service provider, actively engaged in offering College ERP Software. With advanced technology, our experts design software as per the specifications given by the clients. To promise its high quality and performance, our experts test it on diverse quality parameters. This software ensure exceptional functionally and complete security. Our clients can avail this software from us at market leading price. 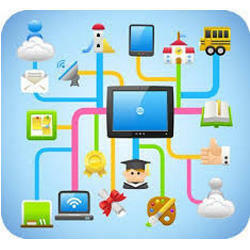 SCHOOL MANAGEMENT SOFTWARE is a web based School Management System that enables any school to use and operate nexus of integrated interrelated modules and manage the administration of school efficiently. The education sector has always been in need of a quality solution to manage and serve the school resources efficiently.school management system to make learning easier and manage school administration effectively. Today educational institution is not limited to imparting education alone, but it is adapting latest trends in IT for improving the quality of education and handling various activities of school including admissions, class management, library management, logistics, inventory, hostel management, fee management, alumni, accounts etc. 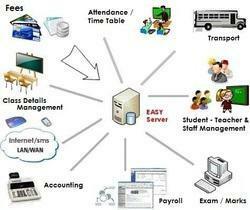 SCHOOL MANAGEMENT Software which simplifies and automates schools administration process. The Splash School Management System is accurate and reliable and can be conveniently accessed from school intranet as well as from the public internet. It is fully browser-based school management software which also includes virtual campus which can be linked with school portal and contains powerful online access to bring parents, teachers and students on a common interactive platform. Yet another advantage of the School Management System Software is that it runs on minimal hardware and easily fits in the budget of schools. In this users have role based access rights which tightly models existing schools hierarchy. this is totally customizable according to the needs of school. We are identified as one of the most competent enterprises of this industry for offering a wide gamut of School Management Software. Mainly used in schools and colleges, this software is developed using latest technology in synchronization with set universally accepted norms. In addition to this, our offered software is highly appreciated by our clients for its several qualitative features. 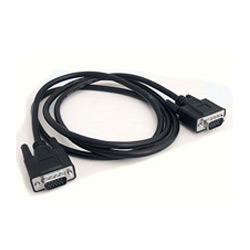 Owing to the years of industrial experience, we have been able to serve our valued clients with a wide range of VGA Connector. Used to connect DVR to display, this connector is designed by our vendor’s experts using high grade components and ultra-modern machinery. Also, we check this connector on numerous parameters before its final dispatch. Offered connector cable is 3 meter long so we can connect at long distance. We are actively engaged in offering an extensive range of College Management Software for our prestigious clients. At our advanced unit, progressive technology is used by skilled software engineers in developing process to increase usability of our offered software. Moreover, our quality controllers check this software thoroughly against various parameters at the time of delivery. Clients can avail this range from us at market-leading prices. Looking for Institutional ERP ?